Ground-Based SnowScales determine how much water is in the snow pack for Flood Risk Assessment, Water Resource Management and Climate Research. Solar SnowScales protect tracking solar electric (PV) arrays from snow load damage and improve energy production. Ground-Based SnowScales™ determine the amount of water in the snow pack by weighing the column of snow above the sensor surface. The measurments are reported as Snow Water Equivalents or "SWE" which is the equivalent depth of water if the snow melted. The SnowScale™ is used for assessing flood risk, determining water supply recharge rates, climate studies, hydropower resource predictions and winter recreation planning. 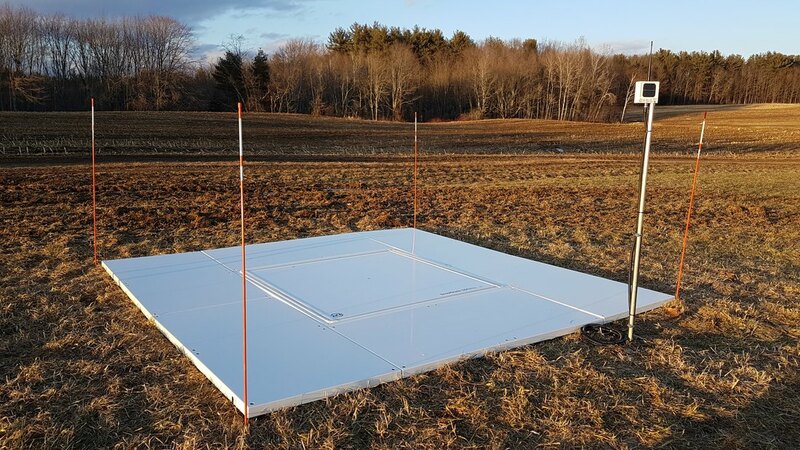 The Solar SnowScale™ protects tracking solar arrays from snow-related structural damage. The Solar SnowScale™ easily affixes to the array frame using standard PV panel edge 's clamps or torque tube U-bolts and requires little to no maintenance. The Solar SnowScale™ monitors snow pressure and sends data via cable or wirelessly to the tracking array control system. When the load becomes too great the tracking array motor rotates the panels, dumping snow and removing the dangerous load. For protection against dangerous rooftop snow loads.